Assisi Catholic College, Upper Coomera, Queensland. 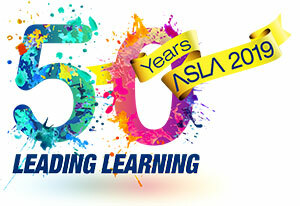 The Australian School Library Association Inc. (ASLA) and Pledger Consulting Pty Ltd (LinksPlus/Weblinks) have pleasure in announcing the winner of the 2011 Australian Teacher Librarian of the Year Award – Maureen Twomey from Assisi Catholic College, Upper Coomera, Queensland. The Australian Teacher Librarian of the Year 2011 is awarded to a teacher librarian who demonstrates a high level of achievement in each of these three components of her role and thus provides a library and information service that improves student learning. The 2011 Australian Teacher Librarian of the Year, Maureen Twomey, a member of the School Library Association of Queensland (SLAQ), manages a diverse library service at Assisi Catholic College, Upper Coomera, QLD. The college is a Preparatory to Year 12 college (5-18 years) that opened in 2005 on the northern end of the Gold Coast, in south-east Queensland. Assisi Catholic College espouses a strong focus on connectedness within the middle years curriculum (Year 7 to Year 9). There is a clear spotlight on the integration of information and communication technologies with teaching and learning, and on eco-friendly structures and practices, in line with the College’s Franciscan philosophies. The school is administered by Brisbane Catholic Education and is located in one of the fastest growing population corridors in Australia. This award carries a $1,500 cash prize from Pledger Consulting Pty Ltd and $500 worth of Weblinks-LinksPlus products. The award was presented to Maureen at Assisi Catholic College 2011 Night of Excellence on Wednesday 26 October.